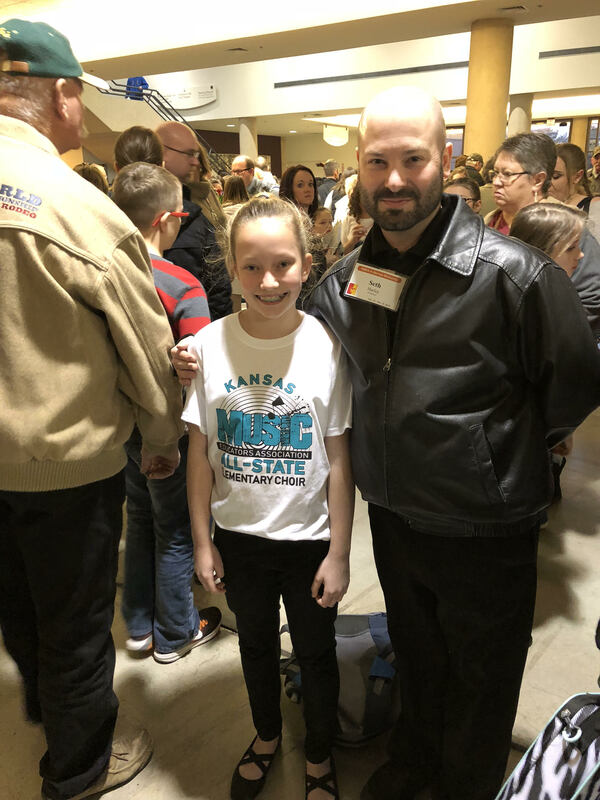 Fifth Grade student Bella Hall traveled to Wichita, KS to participate in the State Elementary Honor Choir on Thursday, February 22. To be selected, students sang, recorded, and submitted “My Country Tis of Thee” to be judged. From across the state of Kansas, 160 students in Third through Fifth Grade are chosen from over 800 auditions. Students are then given 5 songs to prepare with their teacher’s help. The 160 students meet at 9:30 am in the Century II Convention Center to begin registration and rehearsals. which last all day until the concert begins at 5:45 pm. Congratulations Bella!